mentioned in the book of revelations and referred to in the legend of King Arthur, who sought out the advice and prophecies of Merlin the Magician via his crystal ball..
communications ~ just as they are today in radios, telephones and computers. 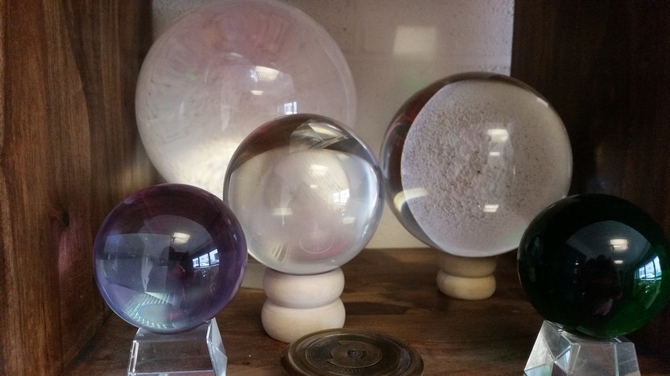 Possibly the reason crystal balls became important tools is because of their inherent characteristics of transparency and symmetry. Additionally it is claimed the energetic fields of crystals and gemstones influence what the scryer sees on a very subtle and often esoteric level.